223 pages | 78 B/W Illus. Hospital staff and caregivers are regularly exposed to biomechanical overload risk, particularly at spine and shoulder level—a risk factor that will continue to rise with the progressive aging of the population. Patient Handling in the Healthcare Sector: A Guide for Risk Management with MAPO Methodology (Movement and Assistance of Hospital Patients) details the analysis of patient handling risk using the MAPO method in different areas of healthcare and helps you develop strategies to mitigate them. One of the special features of this approach is that it employs tools that allow you to allocate financial resources to estimate what investments are needed to achieve specific results. This means taking the decision-making process out of the hands of ergonomics experts and putting it into those of healthcare facility administrators. 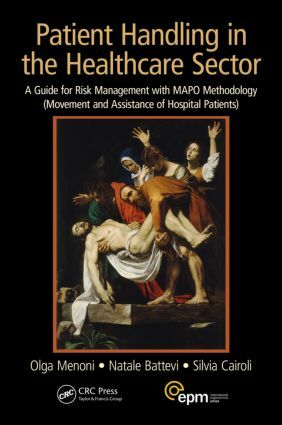 "… provides an extensive and comprehensive description of the evidence-based MAPO INDEX that will allow not only trained ergonomists and biomechanists the ability to conduct a thorough patient handling risk assessment but many and varied healthcare professionals as well. … the level of detail found in the text facilitates intervention implementation and maintenance successes." "The main strength of this book is its comprehensiveness in addressing the important problem of injuries suffered by health care workers due to manual patient handling. … much more than a list of recommendations for safe patient handling but instead presents a system that any health care facility or institution can use to systematically assess their facilities and practices for patient handling and design improved systems for such activity." "… excellent, crisply written … practical and accessible … This is a really useful, meticulously detailed handbook for all those involved in the manual handling of people, with the overall purpose of reducing the number of MSDs among careers." "I found it easy to use, comprehensive, consistent and solution-focused and in my view its application deserves the attention of policymakers."